Click a location on the map (1) to determine your study area and initiate a GeoEnrichment task. After GeoEnrichment, the geometry of your study area (2A) and the infographic (2B) are returned. Infographic provides a graphic layout with the information about your study area. Four types of infographic are available: One Variable, Related Variables, Age Pyramid and Tapestry. One variable displays the value of one single variable. 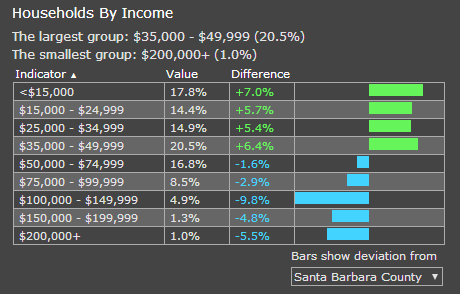 Related variables displays values of multiple variables. 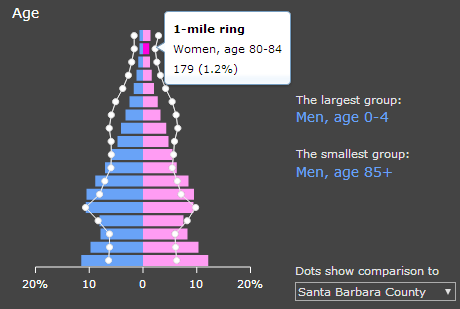 Age pyramid displays an age pyramid based on demographic data. 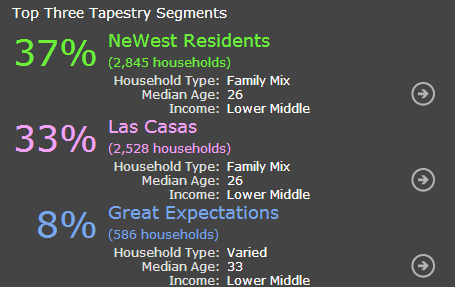 Tapestry displays the Lifestyles-Esri Tapestry Segmentation data. InfographicsCarousel display a collection of multiple Infographics. Its next and previous buttons allow users to switch between various infographics. In this section, we provide a step-by-step instruction on building and using GeoEnrichment in your app. Before following this instruction, you need a simple map app ready. Link your app to a required CSS stylesheet. Add the following link tag to your HTML file. Replace https://js.arcgis.com/3.28 with other CDN locations if needed. Acquire related modules and construct an Infographic. Add the following module paths to the require function. Start constructing a new infographic. type, variables and studyArea are three required parameters in the constructor. Refer to API reference for all the parameters you may specify. The second argument in the constructor specifies the DOM node where the infographic will be placed. In this particular app, we want studyArea to be determined when users click on the map, thus it is not specified in the constructor. returnGeometry determines whether the geometry of your study area will be retured. Since we would like to show the study area with the results on map, set it to true. 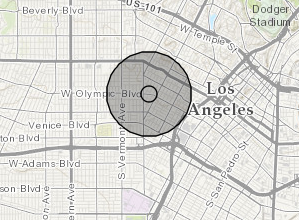 Listen to map.on("click") to trigger a GeoEnrichment task. We use the clicked location on map to construct a GeometryStudyArea and set it as the study area of the infographic. Finalize building the infographic with the .startup() method. 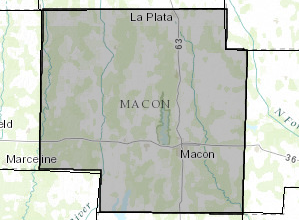 You may add a graphic to visualize this clicked location on the map - be sure "esri/graphic" and "esri/symbols/SimpleMarkerSymbol" are added to the require function. Listen to infographics.on("data-ready") to add the returned geometry to the map. When the GeoEnrichment results are ready, the infographic will automatically fetch the results and update the content. However, since we would like to see the geometry of our study area on the map, we use the provider property in the returned object to get the geometry. Then we create a new Graphic and add it to the map. In this example, be sure you added ["esri/graphic", "esri/symbols/SimpleFillSymbol"] to the require function. In the HTML <body>, add a DOM node where the inforgraphic will be placed. The DOM ID must match the ID you specified in step 3. Try running this app. Since GeoEnrichment requires ArcGIS.com credits, you will be asked to enter your log in credentials when the GeoEnrichment is initiated. View this sample to see the complete code of the app this instrcution is based on. The workflow of building an app with InfographicsCarousel is similar to the instruction above. With the app made according the instruction above, you may follow the instruction below to introduce InfographicsCarousel to your app. Replace the Infographic constructor with InfographicsCarousel. There is no type or variables parameter in InfographicsCarousel. Only keep returnGeometry. Be sure the module require path "esri/dijit/geoenrichment/InfographicsCarousel" is included in the require function. Now try to run the app. You will see several default infographics in the carousel. Since we would like to add more customized infographics to the carousel, we acquire another module InfographicsOptions to specify options for InfographicsCarousel. 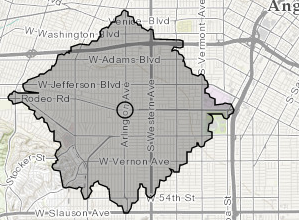 Be sure you have added "esri/dijit/geoenrichment/InfographicsOptions" to the require function. InfographicsOptions has an method getItems(countryID), which returns a dojo.Deferred object with an array of items (i.e. infographics) currently in the carousel. In the callback function, we first want to make all existing infographics invisible. Then create two new items and push them into the items array. Two arguments in the InfographicsOptions.Item constructor are the equivalent of type and variables in Infographic. Try running this app. View this sample to see the complete code of the app this instrcution is based on. By default, the geometry you pass into studyArea determines your study area, but you may opt to customize your study area with studyAreaOptions. You can pass this parameter into Infographic or InfographicsOptions (for InfographicsCarousel). RingBuffer: A buffer area based on physical distance. DriveBuffer: A buffer area based on driving distance or driving time. When studyAreaOptions is not specified, a RingBuffer with one-mile radius will be used as your study area. 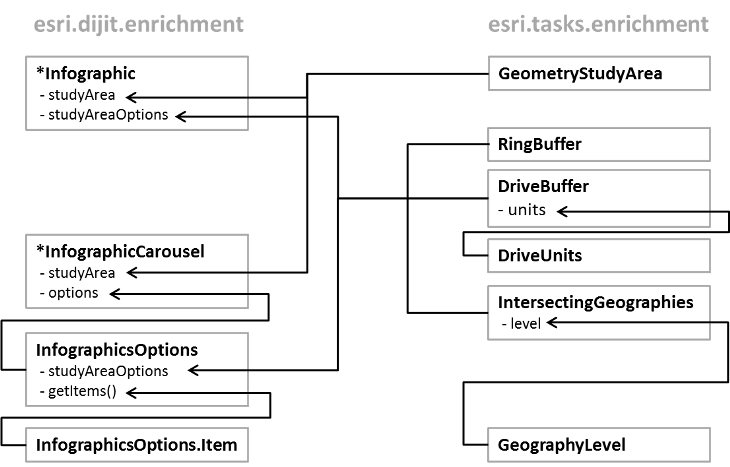 Numerous variables are available for GeoEnrichment tasks. The availability of each variable varies from place to place. You may use this application to find variables available in your study area. By default, a GeoEnrichment service automatically determines the country and dataset within which your study area will be enriched. Specifying the country ID and/or dataset ID can eliminate computational cost and potentially improve the performance of your application. 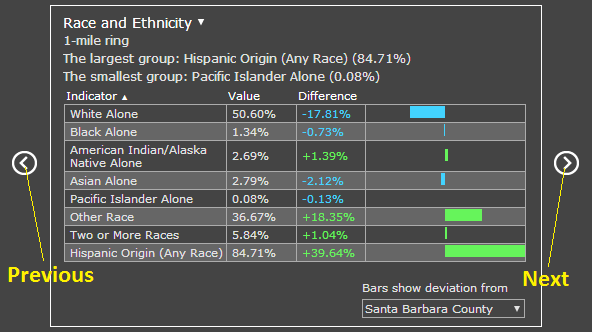 The countryID and datasetID parameters can be specified for Infographic and GeographyLevel. Currently two themes are available for InfographicsCarousel: common and light. GeoEnrichment classes are placed under the esri.dijit.geoenrichment and esri.tasks.geoenrichment folders. Infographic and InfographicsCarousel provide basic user experience as demonstrated above, while other classes are used to support the constructor options of these two classes. The diagram below illustrates the relationships between the GeoEnrichment classes.